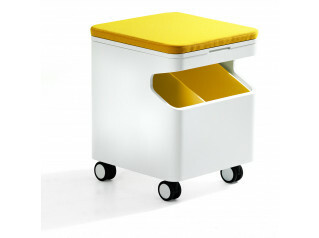 CBox Pedestal Designed by Gianmarco Blini for Dieffebi, will be suitable for in the home or in the office. Wherever you place the CBox Pedestals they will turn the room more dynamic, colourful and cosy while giving it plenty of character. 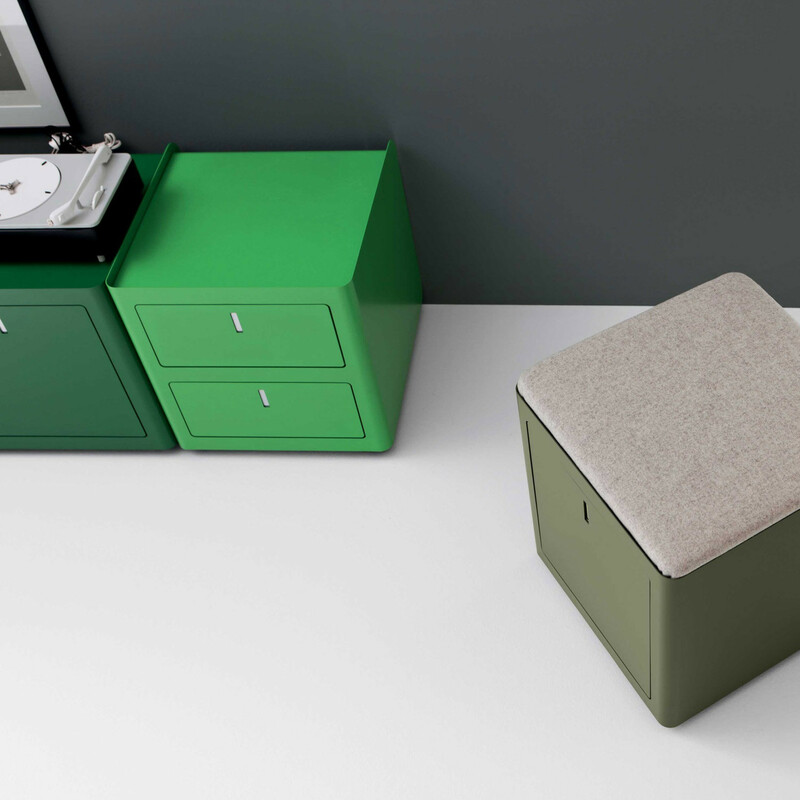 CBox Pedestal has a stylish and contemporary design characterised by its soft and rounded forms, the front features a fold-away handle and it is available in nine different colours. 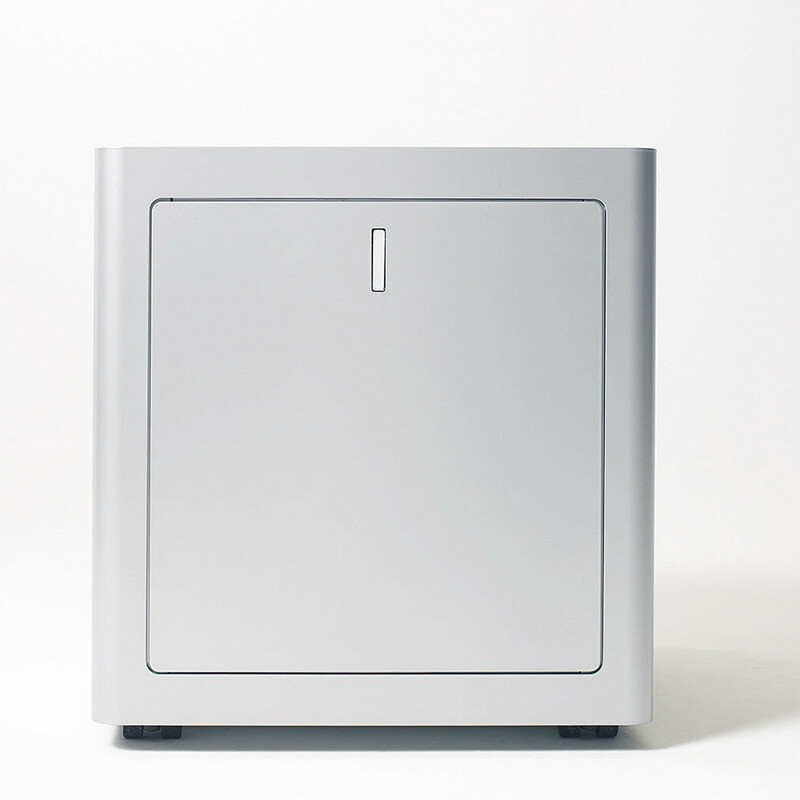 To make this storage unit even more pleasant its interior can actually be perfumed. 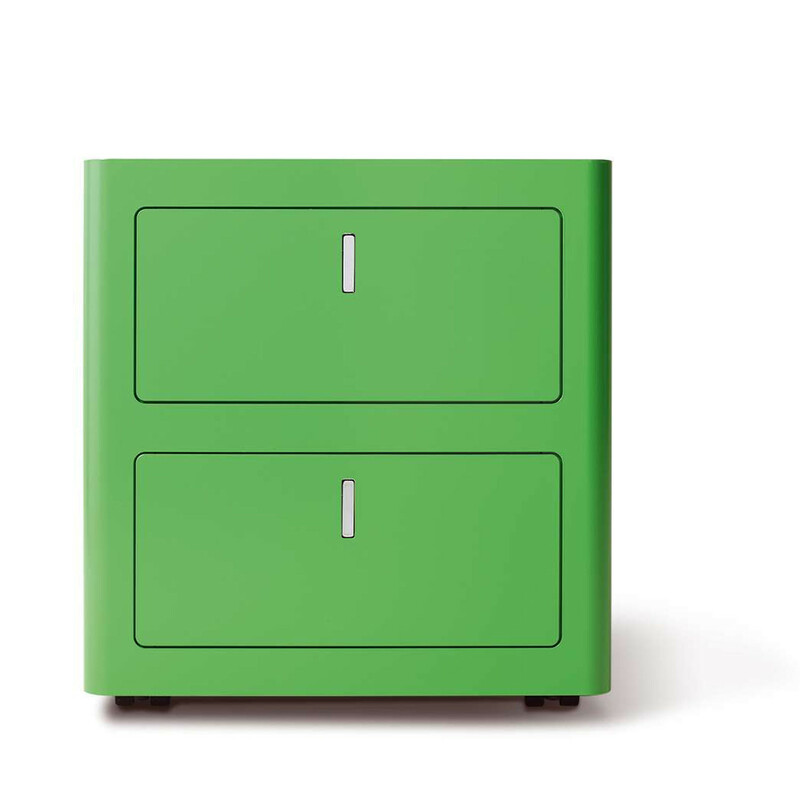 There is no doubt that the CBox Desk Pedestal will not only suit your storage needs but it will be a bright solution in any space. 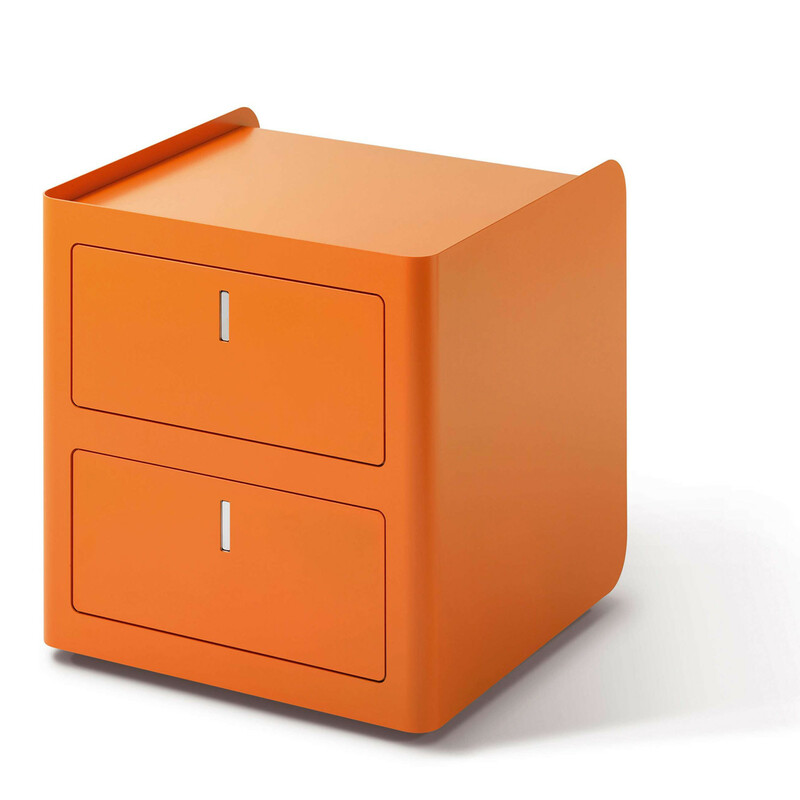 The CBox Unit is available in two versions with one or two box drawers, to better suit your requirements. 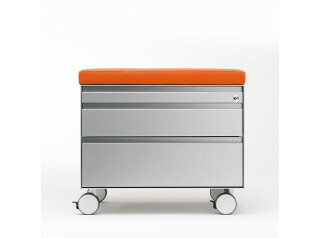 Made of steel the C Box Unit has its base on castors and all the drawers are fitted with ball-bearing slides. 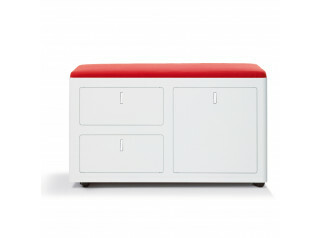 Its top can be fitted with a soft cushion which is curved at one end to make the seat more comfortable. 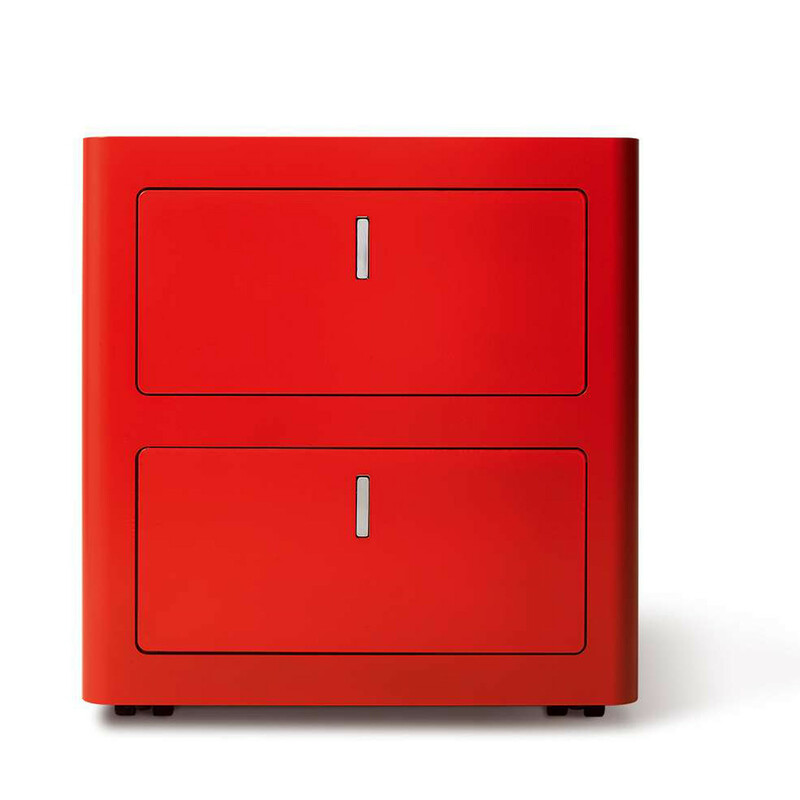 Upon request it is possible to make the first drawer lockable with key lock. 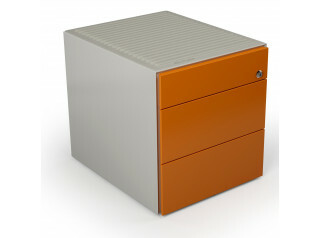 Within the CBox Design it is available as well the C Box Double Pedestals. You are requesting a price for the "CBox Pedestal"
To create a new project and add "CBox Pedestal" to it please click the button below. 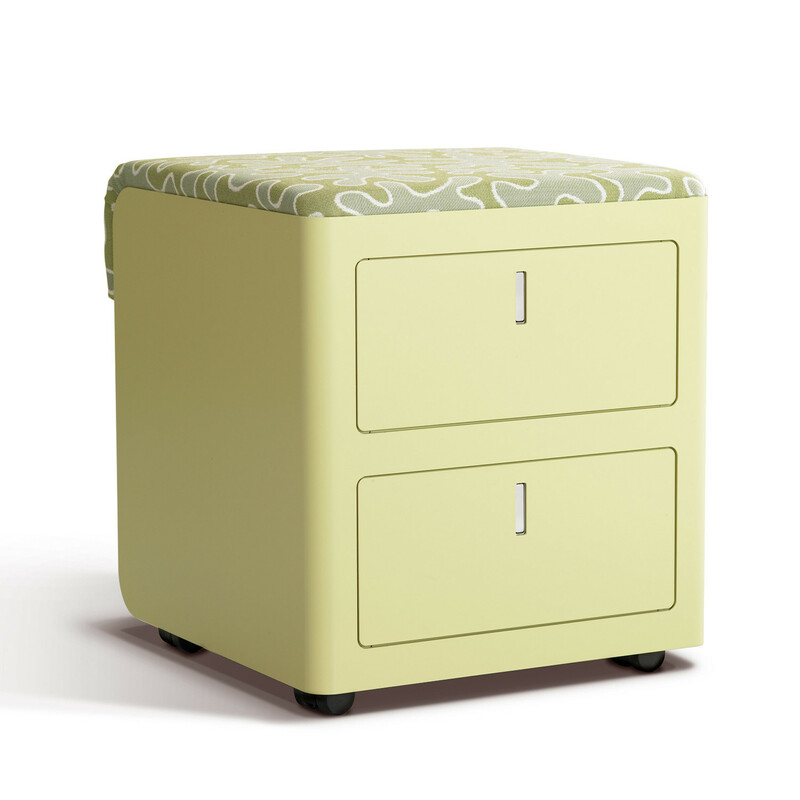 To add "CBox Pedestal" to an existing project please select below.